We provide low minimum order quantity customisation services on range of basic and premium vacuum-flasks & glass bottles. All vacuum-flasks & glass bottles can be customised within one color, multiple colors or full color printing. Our flasks can keep warm and cold for at least 4 to 6 hours. Some of them comes with features like filter cap or cap cover for convenience. If there are any other flask designs that you are looking for, feel free to let us know and we will our best to source for you! Contact us for quote now! With long working hours in the office, sometimes all you need is a hot beverage to get you back on your feet. Unfortunately, your typical porcelain mugs just won’t do this for you. TREA’s selection of flasks and glass bottles allow you to sustain your hot beverage over an extended period of time. Gone are the days where you have to constantly go up to the coffee machine disrupting you of completing your deadlines. They are corporate gifts that strive on their high usability in Singapore. Whether you are purchasing them for your own staff or giving them away at your company’s event, they will always be valued by their recipients. Custom printed flasks are highly promotional and thoughtful gifts that show appreciation and motivators to work even harder. Here are some tips to look out for when comes to choosing your custom flask. When it comes to popularity, glass bottles rank amongst the top when compared to other materials. The outlook of a glass bottle spells class almost instantly. Although they do not keep beverages warm or cool as long as their other material counterparts, they soar in the aesthetics department. Even at a glance, custom printed glass bottles look elegant and feel more exclusive. More importantly, they are known to be the safest amongst other water bottle materials as they are not associated with any health risks. TREA’s selection of glass bottles are made out of high temperature resistant glass. Our glass bottle is also inclusive of a neoprene pouch for a firm grip of the bottle when handling high temperature beverages. You may custom print on the pouch as well. Custom printed glass bottles will have an instant impression to your recipients as corporate gifts because they look and feel exquisite. They are the perfect option for long-term home or office use. TREA’s selection of custom flasks are made out of stainless steel. As a water bottle material, stainless steel is durable, recyclable and built to last longer. They can withstand falls or knocks much better than other metals like aluminum. Stainless steel flasks are non reactive to chemicals which means you can put just about anything into them. They are able to keep beverages cool or warm from six to twelve hours. 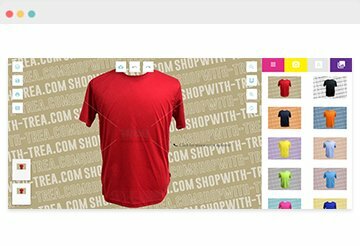 We offer you a wide variety of designs to choose from to suit your requirements. You can choose between click or screw cap designs. Additionally, a few of our flasks also include silicon handles, tea filters and cups. These accessories add to the overall convenience factor and can be selected based on your target recipients. They are highly valued promotional corporate gifts that show you care for your recipients. There are a number of factors as to how long a beverage can be kept warm or cool in a vacuum flask. A double-walled vacuum insulation plays a big part in keeping your drink warm or cool. It minimises heat transfer due to conduction and radiation. Thus, sustaining the temperature of the liquid inside. Materials used also play an integral part. For example, if the external of a vacuum flask is stainless steel, it is likely to lose heat faster as steel is a bad insulator of heat. Heat will travel out of the flask more easily. Therefore, they are always coated for improved efficiency. Pouches can also help in the retention of heat as they prevent heat transfer from occuring. That being said, heat retention is a requirement dependant on an individual’s preference. 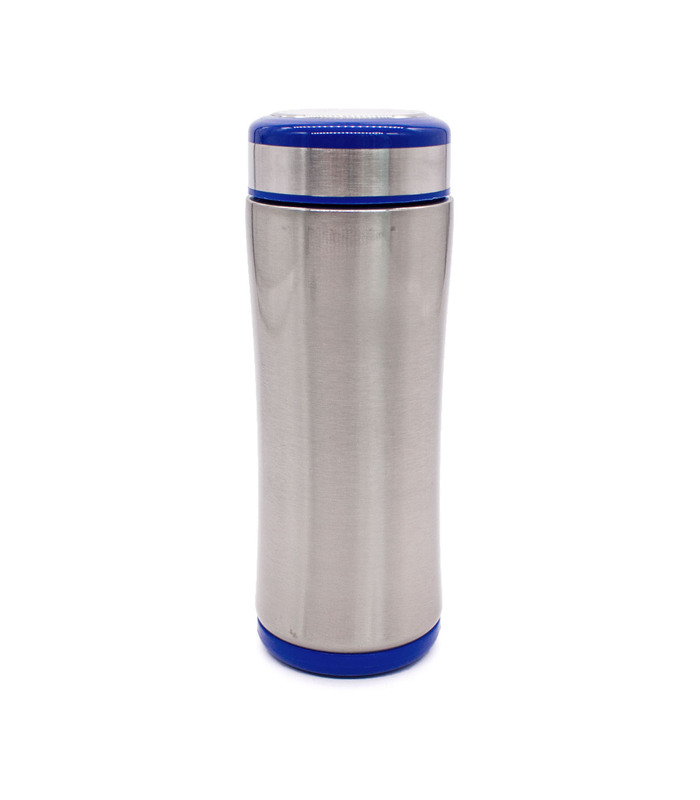 In general, vacuum flask has the basic capability to keep warm and cold for at least 4-6 hrs. TREA’s selection of custom printed vacuum flasks and glass bottles will provide options for you to choose from. Keeping safety in mind, TREA’s selection of vacuum flask and thermal flask models have been specially chosen to minimise any risk of you hurting yourself. We offer vacuum flasks with non-slip functions while maintaining its agenda of keeping the heat retention. 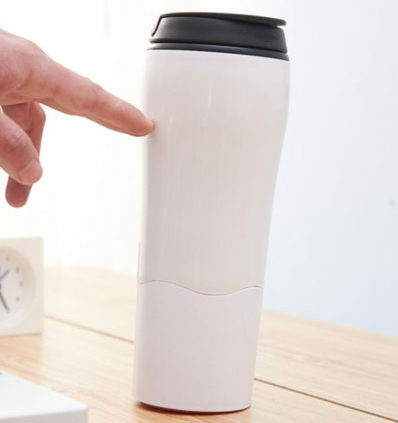 You will no longer have to worry about spilling hot coffee over your desk again. Additionally, we also provide different cap options. Flip lock caps allow you to keep the cap in place so that the beverage inside does not spill. The cap will not be pressed open accidentally as well which might result in spillage. A direct drinking cap will allow you to drink hot beverages without your lips having direct contact with the vacuum flask. These functional design options help to make this custom printed corporate gift a safetier choice. Depending on your target recipients, you can choose from our different models that come with either tea filters or additional cups. Tea filters are a great addition to thermal flasks. They are favourites amongst those who sip on tea or coffee during long office hours. The additional cup feature also proves to be useful for office settings and outdoor activities such as picnics with family. They promote healthy living and possibly even the gathering of families. Lastly, a custom printed flask or glass bottle that comes with a pouch saves you from any possible spillage and allows you to get a better grip. Safety is always a priority. With so many outstanding features to choose from, vacuum-flasks and glass bottles may just be the most thoughtful corporate gift for just about anyone in Singapore.